One of the biggest factors for most students in determining where to go to college is the cost of attendance and how much financial aid is offered. If you decide to go to a public university, chances are that you will have access to an institutional scholarship (money that comes from the university you are attending). But how exactly do you get access to all that free money? 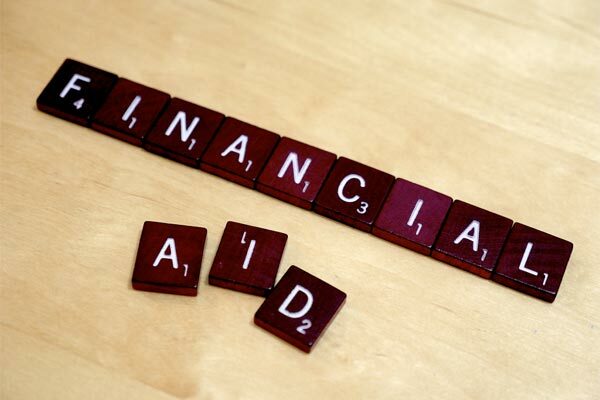 Below are six steps that will help you to maximize financial aid at public institutions. With the Free Application for Federal Student Aid, a.k.a. FAFSA, financial aid is first come, first served. This is true whether you’re going to a public university or not. (You can learn more about filing the FAFSA here.) Additionally, many universities have an early financial aid application deadline, often called a priority deadline, for their institutional scholarships. Finally, when you apply early, you give yourself some slack in case there’s a problem with your application, so you’ll have time to correct it and still make the final deadline. Speaking of which . . . While applying early might be ideal, remember that your college or university will not make an exception for you if you’re late. Make sure you know what your deadlines are and that you are applying by the right ones (i.e., Early Decision versus Early Action versus Regular Decision) to make the most of the financial aid your university has to offer. For example, at UMass Boston, the spring semester priority FAFSA filing deadline for new and transfer students is November 1 of the year before they plan to attend. And if you don’t turn in your application—and all its parts—on time, you could be missing out on thousands of dollars of free money. In high school, you have people constantly reminding you to do things, from parents to teachers to guidance counselors. This isn’t the case when dealing with college admission and financial aid. At most colleges, the individuals who award financial aid are overseeing many more people than anyone did at your high school. They don’t have time to babysit you through every step of the process, so make sure you are on top of every form that needs submitted. Schools will often require an essay, résumé, and/or other written proof that you are deserving of the money for which you are applying. Let others (e.g., your English teacher, guidance counselor, etc.) read your work and offer edits and suggestions. Find someone who knows you well enough to help you put your best foot forward. Many schools offer privately funded scholarships for individuals in certain degree programs. At Arkansas State University in Jonesboro, there are more than 250 privately funded scholarships offered through the University. Search your school’s website, look online, and talk to financial aid and admission counselors (perhaps even faculty in your major) to leave no stone unturned. Are there any articulation agreements between your school and state community colleges, where you could earn and transfer cheaper credits? Are there opportunities to attend state schools just over the border that are involved in any sort of reciprocity program? Or are there state-sponsored grants and scholarships you should be applying for? Investigate all these options! Whether you’re just starting off or well into your college search, one important thing is to consider the cost of attendance and the financial aid available at each institution you research. Hopefully these few steps will help you make the most of the financial aid your college of choice has to offer.